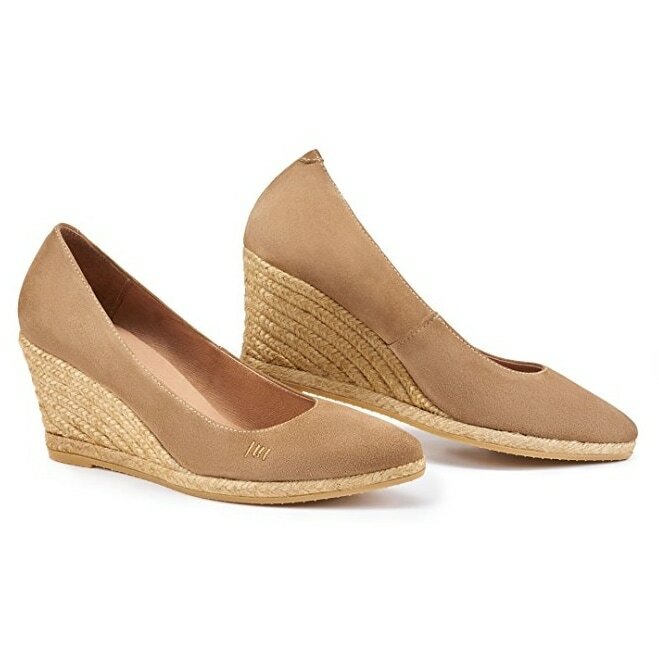 The Duchess of Cambridge debuted the Monsoon 'Fleur' espadrilles during the 2016 Royal Tour of India. 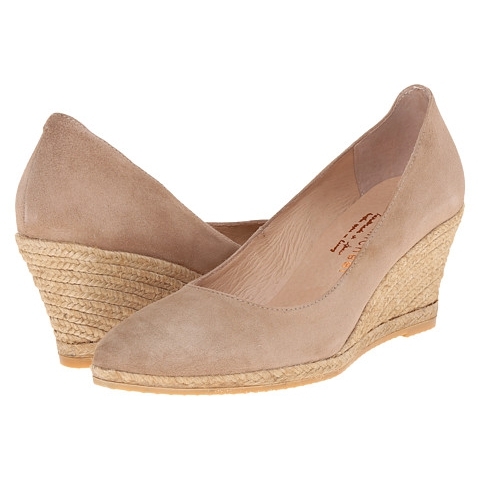 These were her maiden pair from the British retailer. 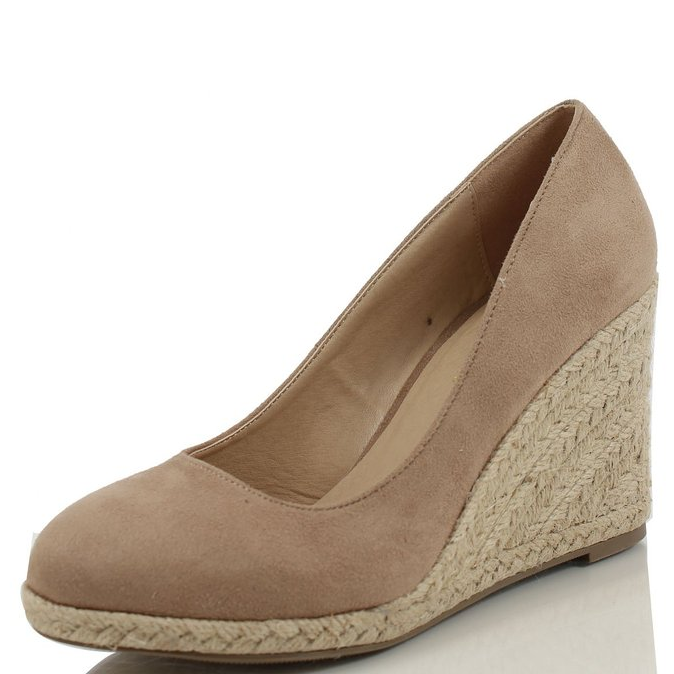 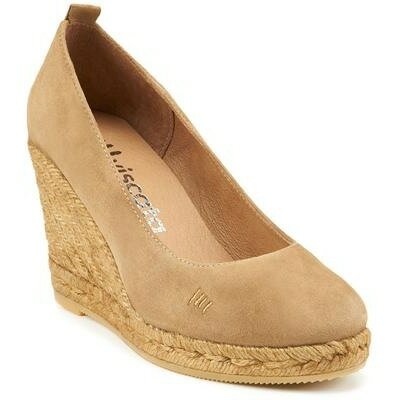 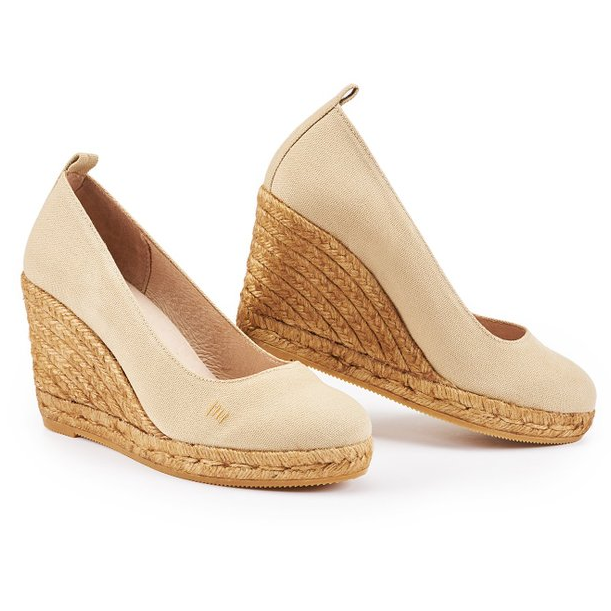 The Monsoon 'Fluer' is a suede espadrille with a wedge heel and almond toe vamp. 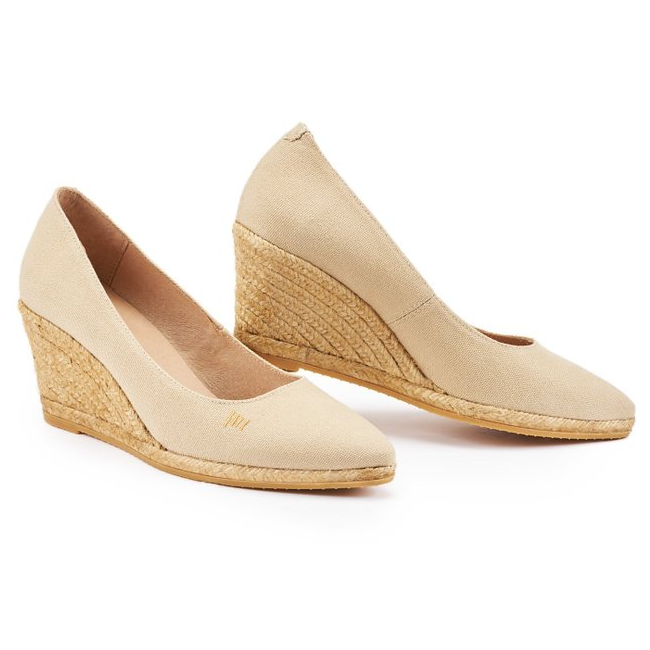 STYLE FILE: Monsoon Fleur Taupe Suede Espadrilles as seen on Kate Middleton, The Duchess of Cambridge.